The Energize Themes website was established in August 2005 by a team of web designers to offer high quality, great value for money Joomla templates which are both easy to use and customize plus include all the built-in features you need to help you build a mobile friendly website. 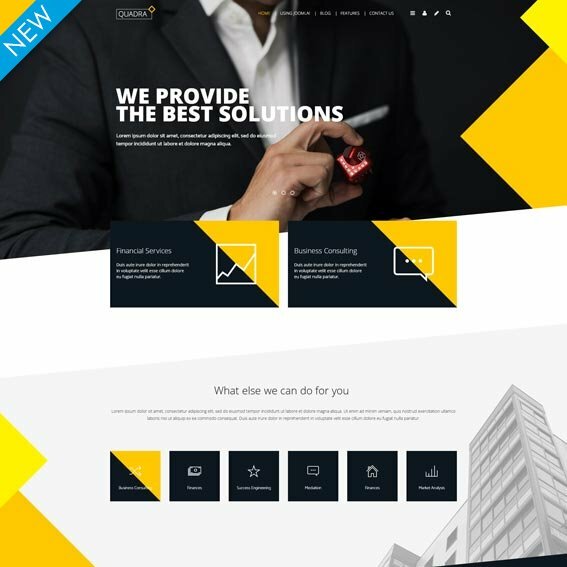 You can purchase a single web design at the website for only 29 Euros or you can join our great value for money template club for only 39 Euros which allows you to download all the existing and new responsive Joomla templates we have designed at the website for you. We love what we do and are passionate about providing all our customers with a personal one to one support service. We want to make sure you get the most out of the professional Joomla templates we have designed at the website. If you need support we are here ready to help you. Each template we have designed at the website includes lots of useful built-in features to provide you with the control and flexability you need to build a website for your business. All the Joomla designs we have developed and released at the website are really simple to use and customize to help you create a professional and unique website. All the templates we have designed at the website are compatible with the latest and stable version of the Joomla content management system. The user friendly built-in control panel allows you to easily change and update all the built-in features we have incorporated into each web design. The step by step installation guide comes with eveything you need to install and setup the theme at your website. The original Adobe Photoshop file can be used to edit and customize the look and feel of the web design to suit your needs. All the Joomla templates are compatible with Internet Explorer, Firefox, Safari, Opera and Google Chrome web browsers. 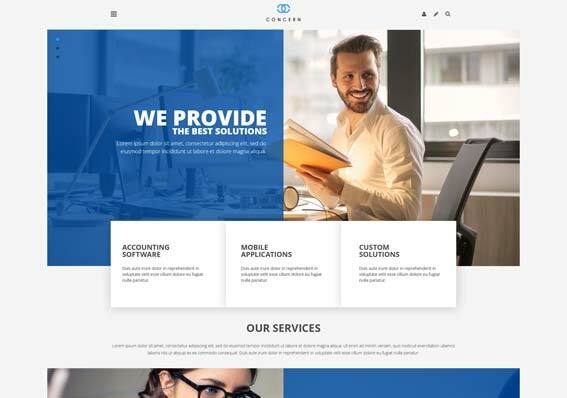 Take a look at the concern Joomla template we have designed at the website which is a clean, beautifully styled, mobile friendly theme which is suitable for both corporate and creative businesses. 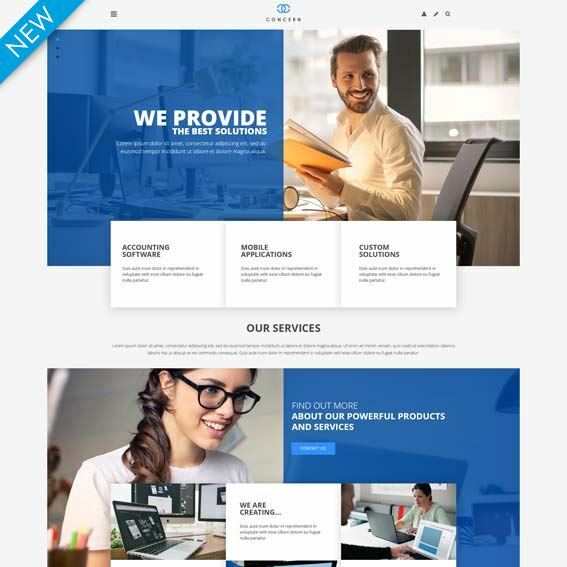 Concern is both easy to setup and customize plus it comes with all the built-in features you need to help you create a fresh, modern website to help your business stand out from the crowd. Some of the key features we have incorporated into Concern include 6 unique colour styles for you to choose from, a choice of over 40 module positions, powerful theme customization tool so you can easily customize the web design to suit your exact needs, custom styles for the popular k2 extension, 600+ Fonts and Font Awesome icons, customer testimonials slider and an image slideshow plus many more features which you can access via the user-friendly control panel. Download the concern design to give your website a new lease of life today. 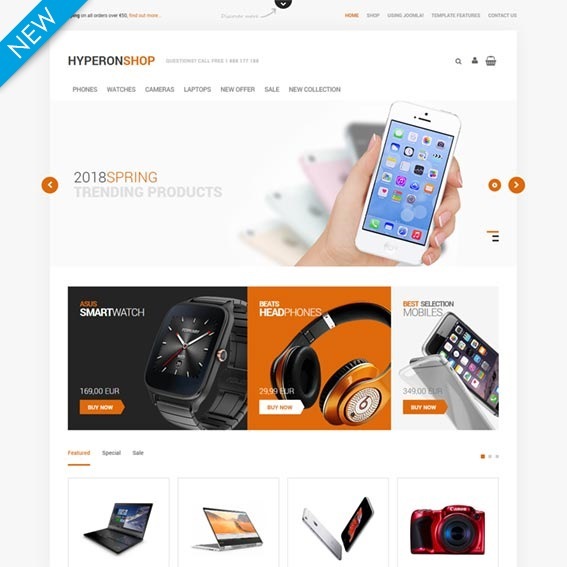 hyperon shop is a clean, minimal and highly versatile Joomla template we have designed for Virtuemart which comes with everything you need to create a visually stunning Mobile friendly ecommerce website for your business. With its simple layout and countless theme tools and options for you to choose from you get unlimited possibilities to create a unique website. 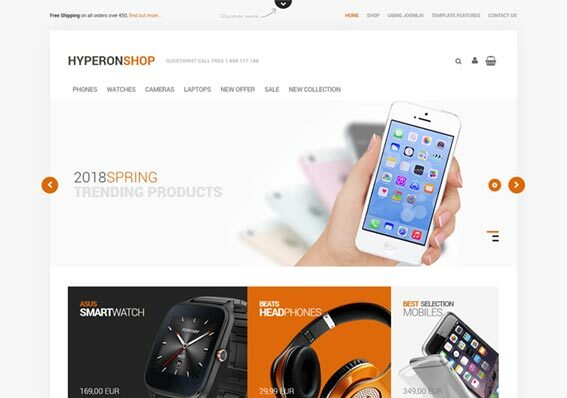 hyperon shop is also a fully responsive design which looks great on different types of devices such as desktop, tablet or mobile phones to provide your website visitors with an enriched mobile friendly shopping experience. hyperon shop comes with a wide choice of built-in features including six modern colour styles for you to choose from, eye-catching Product slider modules, 600+ Font Awesome icons, customer testimonials module, custom styles for the K2 extension and a powerful built-in theme customizer to provide you with total control to create a unique website for your business. 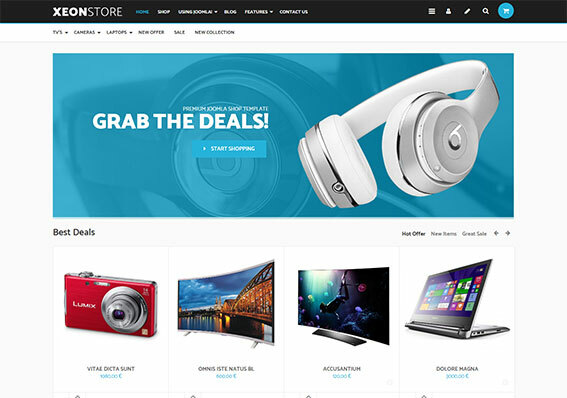 Xeon shop is a modern, multi purpose Joomla template for Virtuemart which is a great choice of design to build a professional e-commerce website for your business. With its simple layout and countless theme options the Xeon shop offers you unlimited web design possibilities for your online store. Xeon shop is also fully responsive and looks great on desktop, tablet or mobile phones to provide your website visitors with a complete mobile friendly shopping experience. Xeon shop also comes with an array of powerful built-in features including a choice of 6 colour styles, eye-catching Product slider modules, 600 Font Awesome icons, testimonials module, custom css styles for the Virtuemart shopping cart extension and a powerful built-in theme customizer to provide you with total control to create a unique website. If you’re looking for a hand-crafted design that comes with everything you need to create an e-commerce website download Xeon shop today. 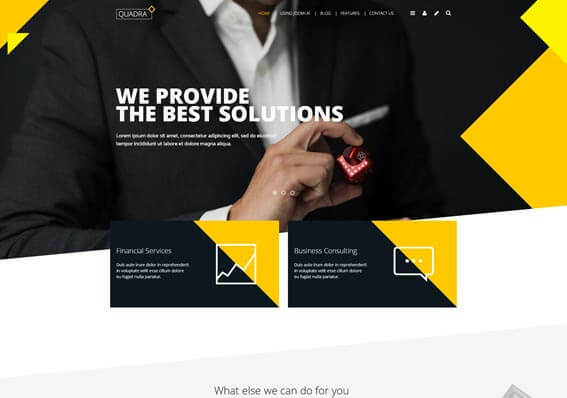 Quadra is a versatile, easy to use Joomla template which comes with everything you need to build a stunning corporate or creative website to help your business stand out from the crowd. The Quadra design includes over 100 built-in features and options for you to choose from which allows you to easily customize and style Quadra to suit your exact needs without touching any PHP or CSS code. Some of the stand out features the Quadra design has to offer include support for over 45 module positions, choice of six unique colour styles for you to choose from, fully responsive layout, custom styles for the K2 extension, stylish image slideshow, customer testimonials module and many more features which you can access via the powerful, easy to use theme control panel. Download Quadra today to build a fresh, modern, mobile friendly website for your business. 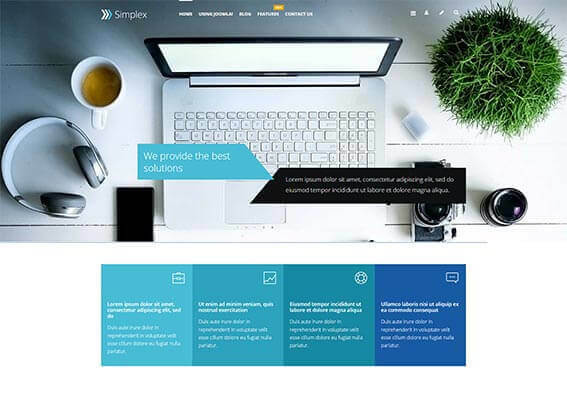 Simplex is clean, modern, responsive Joomla template we have designed at the website which comes with everything you need to create a stunning mobile friendly website. The Simplex design looks great straight out of the box, but it also comes packed with lots of customization options to make the personalization of the design a breeze. The Simplex advanced theme options panel enables you to effortlessly update settings such as logo, colours and the layout without needing to touch any code. Alongside this you have access to six different colour styles to choose from, unlimited colour combinations and a choice of over 45 fully collapsible positions and 100 fonts to choose from. Download Simplex today to Build a beautiful website for your business. 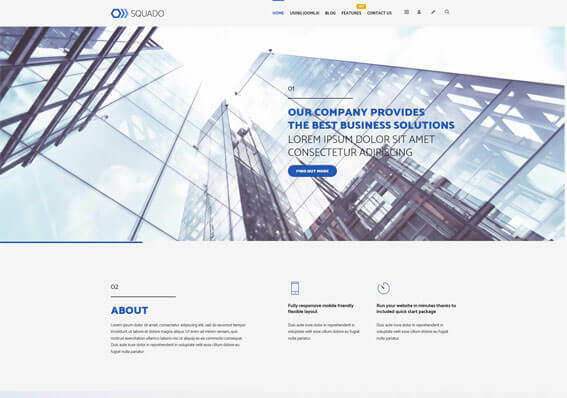 Squado is a fresh, modern Joomla template which is suitable for both corporate and creative businesses who want to showcase the services they offer in a professional and elegant way. The Squado web design comes with all the features and options you need to easily customize and style the theme to suit your exact needs. Some of the key features and benefits Squado offers include support for over 45 module positions and over 100 fonts, choice of six unique colour styles for you to choose from, fully responsive mobile friendly layout, custom styles for the K2 extension and an eye-catching image slideshow plus many more features which you can access via the designs built-in control panel. Download Squado to build a fresh, contemporary website for your business today.